In the country where I come from, Italy, coffee is not just a beverage: it’s a tradition. It’s the glue that keeps acquaintances united. Though you have to take into account that an espresso (and the pronunciation is not expresso) is something similar but different at the same time, because the process is completely different. Like in England refusing a cup of tea when visiting someone is considered rude, in Italy is exactly the same or even worse, especially in the south of Italy. So any time is good to have a cup of coffee, and maybe this is why traffic in Italy is so horrible and chaotic: we drink too much coffee. 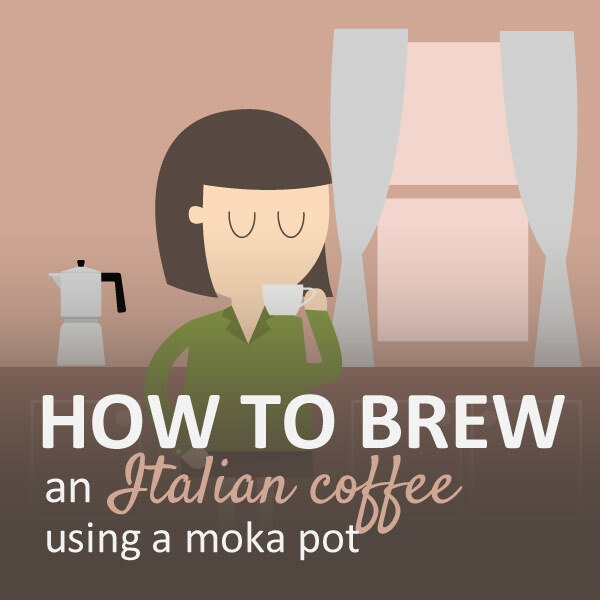 But for those who wants to try to make coffee using a moka pot, I created this infographic hoping it will help you. I can’t forget that time when an English friend of mine tried to make me some coffee using the moka pot, and put the ground coffee directly in the top chamber instead of the basket. Do you want to know what I said? well… it’s better left that unsaid. So now it is your turn. If you have a moka pot at home, or you are intrigued to try it, follow this instruction and let me know how was your coffee in a comment.